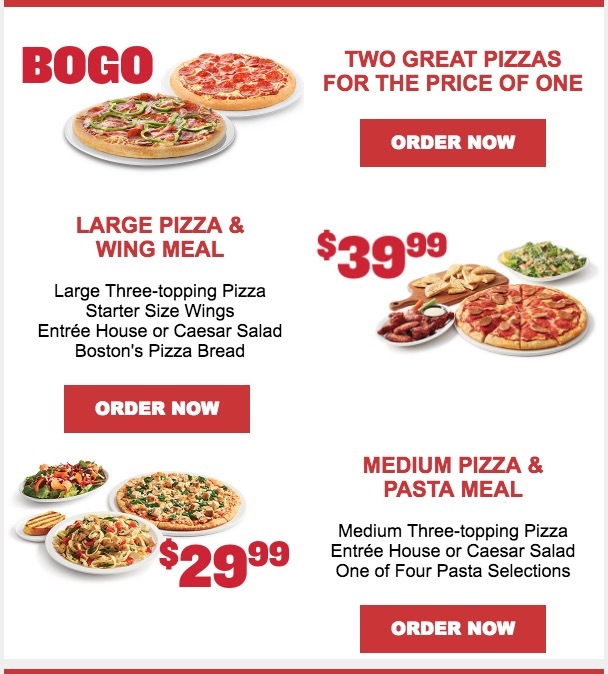 Boston Pizza Canada has a great offer available today that include: Buy One Get One FREE. Buy any medium or large pizza at regular price and get a second medium or large of equal or lesser value free. Maximum of 5 pizzas purchased for up to a maximum of 5 FREE pizzas. Offer valid only through online ordering on Sunday, February 4, 2018, at participating locations.